In life we like to protect what we have, whether it is our life, our home, or our car. Generally, people protect what is important to them by purchasing insurance. While sometimes having insurance is an elective on the part of the client, while other times it is the law. For example, in Canada, in order to own a car you need car insurance, the consequences of not having insurance are licence suspension and vehicle impoundment. Different insurance brokers can offer different types of insurance at different prices, and it pays to compare. For auto or really any type of insurance it is best to go online to obtain free quotes. For example in Ontario, a great resource that pools this information for you and saves you some busy work is My Insurance Shopper. Although we are all aware that we need to have insurance, we are not always clear as to why we need it. It is the law: Provincial laws dictate that car owners have car insurance. This not only protects their asset “the car” but it also protects them if they are found at fault in an accident causing injury or death. Without insurance they could be found liable for medical costs or loses. While not all insurance is mandated by law, it’s good to always have it and ironically never to use it. It protects your property: Often a person’s house and its content is the single biggest investment that we do in our lives. If something happened to your house tomorrow, think how much it would cost you to replace your house and its contents on your own. Home insurance can pay for the big expenses you may not afford on your own such as fire damage. However it can also cover relatively smaller damages such as those due to theft, water damage or many more. Helps you sleep at night: You know how sometimes when you are on vacation, and unable to return home for a bit of time, you grow concerned whether you remembered to lock the front door or turn the stove off? That one thought can plague you thought your entire holiday, dampening the fun. Now imagine having that thought everyday of your life. What if something unforeseen happens to you or your loved ones or your home? Will you be able to cope? Having insurance gives you that little piece of mid that makes everyday functioning just that little bit easier. It helps your finances: It is often difficult to prepare to an impending disaster. Emergencies often come unannounced with a hefty price tag attached. It would be very difficult to save up money for all the potential pitfalls, after all, where would you even start? By paying your relatively small insurance premiums, you actually end up saving money in the long run, because you do not have that money saved away. It helps create a balanced budget to get you to run an efficient household. 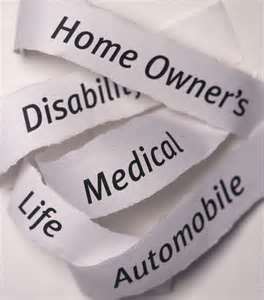 There are many insurance options available to you make sure to find one that fits your needs, location and budget.